When he was 13-years-old, Anshul Samar developed Elementeo, a board-based card game, to help children learn chemistry and science in a fun way, bringing chemical elements and compounds to life by assigning them individual personalities. The goal of the game is to capture the opponent’s electrons and reduce them to zero. While reading chemistry books, he began to see “personalities in chemical properties, and started to write about the elements and their hobbies, emotions, and quirks.” He transposed each element into game card prototypes. Oxygen became Oxygen Life-Giver, Hydrogen became Hydrogen Princess, and Phosphorus became Phosphorus Phoenix. Anshul then created prints at FedEx Kinkos, and formed a team of artists from Michigan, LA, and Buenos Aires to develop card illustrations. He also received a $500 grant from the California Association for the Gifted, which boosted his confidence and helped him continue his work for two more years. While developing the Elementeo cards, Anshul was diagnosed with a rare lung disease, which causes lung bleeding and significantly cuts down lung capacity. Bringing the period table to life helped motivate Anshul to fight his potentially overwhelming diagnosis. Anshul amusingly recalls the moment when, during the summer before 9th grade, his manufacturer delivered the first 5,000 Elementeo games to his garage: “I still remember the joy I felt when the games arrived, and the relief my parents felt when Amazon picked up many of them to take to their warehouse.” The first version of Elementeo was sold through Amazon, The Exploratorium, The MIT Museum, and select stores in US, UK, and Canada. 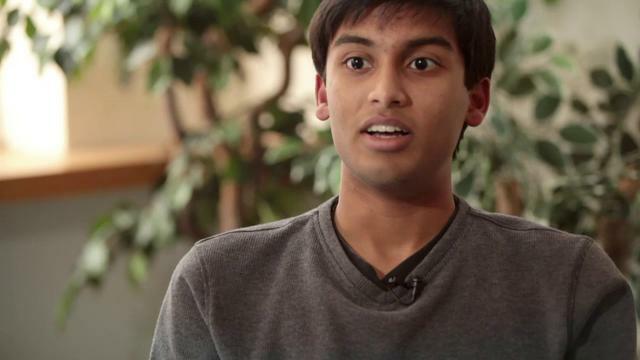 After the first round sold out, then high-school senior Anshul developed a new version of Elementeo, adding new cards, such as Vanadium Viking and Newton’s 3 Laws. The most recent version features five stages-element, reaction, compound, alchemy and fusion. It comes with 50 elements, 25 compounds and 25 alchemy cards, as well as blank cards for players to create their own characters. In 2012, during a TEDTalk in San Jose, California, the young entrepreneur launched the app version of the game, which includes animated versions for some of the cards, like the Sodium Dragon. The app also creates a 3D version of the elements and an option for players to create their own Elementeo card that are then integrated into the periodic table. Anshul believes the possibilities with Elementeo are endless. Through his game, he hopes to change the way kids think about chemistry and science. These subjects should be fun and interactive, not just a collage of words and numbers memorized for an exam. The young entrepreneur is also determined to give back, and provides $500, $1,000, and $2,000 grants to youth around the world who want to pursue their own entrepreneurial ideas.